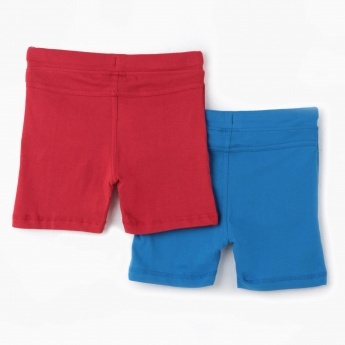 This adorable and comfy set of two knitted shorts is an apt pick for your little one. It has a waistband with drawstrings and welt pockets on the sides. The print on the side adds to its adore.